A clean driveway, sidewalk, and any other concrete surface adds a lot of curb appeal to homes and businesses alike. Concrete harbors dirt, soils, and other pollutants that gets carried in on the soles of shoes. These dirt and soils can be damaging to the entrance of your home or business, and pollute the indoor air. Our concrete cleaning service features equipment and cleaning products specifically designed to clean concrete and brick surfaces. 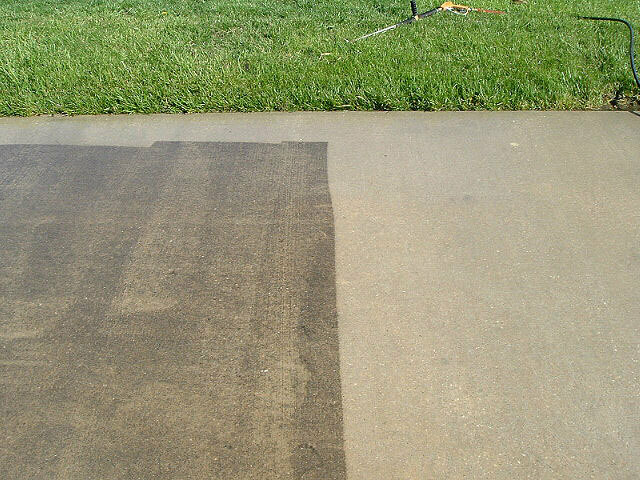 We can wash away weeks, months, and years of unwanted dirt and soil and bring life and luster back to your concrete surfaces. 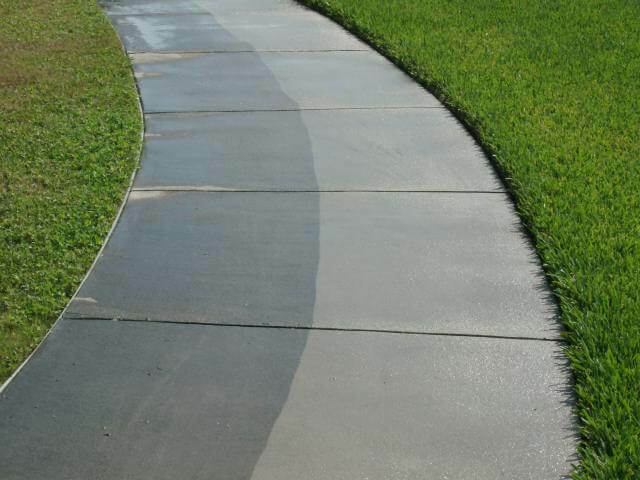 We can put together a concrete cleaning frequency package that keeps your concrete surfaces clean and looking great. Whether you need specialty stamped concrete, your driveway, sidewalk or patio cleaned, we can help. We offer Free On-Site Estimates! See Our Cleaning In Action!